Choose a design from either The Collection or get in touch regarding a Bespoke project. Drop us an email to let us know what design you would like, what stationery you would like, quantities needed and the wording you would like. If you’re thinking of ordering custom colours it can be a good idea to order a hard copy proof as colours can often look quite different in print than on screen and can vary from computer to computer. If you would like printed guest names on your stationery, we’ll also ask you to email us a spreadsheet containing all the guest names as you want them to appear. We’ll create your PDF proof and email it to you. When you receive your proof, check it carefully against the artwork check list provided and let us know if there are any amends. If there is we’ll make the changes and email you a second proof. Once you are happy with your proof, let us know via email and we’ll send everything to print. You must confirm in writing (via email) that you are happy to sign off your designs before they can go to print. Once approved the design cannot be changed and errors cannot be amended so please make sure you are completely happy with everything! You should then have your stationery within 10 working days. Personalised orders: within 3 weeks. Smaller orders will often be delivered sooner. If you need your order fast, please contact us. Bespoke orders: within 4­-6 weeks. All our products are professionally printed in the UK by expert printers who know everything there is to know about producing beautiful printed products to insure we offer the highest quality. At Ivy white we like to offer as much choice as possible. The paper finish on a design can really bring that extra elegance and wow factor to the piece. We have 4 beautiful papers to choose from. Our most popular choice for weddings. The ‘hammered’ textured of Tintoretto is strangely satisfying to touch. A thick 300gsm, pale cream coloured, fine Italian paper that’s perfect for bringing prestige to any print. 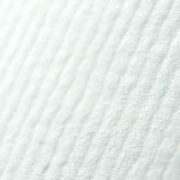 Crisp and clean, yet soft and inviting, with fine-lined markings. Available in 280gsm, Nettuno is understated elegance. 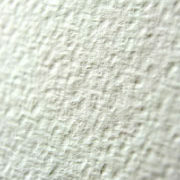 A soft, white pearlescent paper, that glistens in the light. This beautiful thick 300gsm shimmering paper turns up the wow factor on wedding stationery. 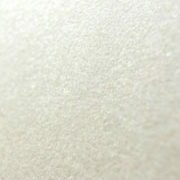 A super thick 350gsm smooth and luxurious paper which is silky to touch. Ideal for adding a touch of luxury to your wedding stationery, Foiling is available in silver, gold, copper. Printed on super thick 350gsm Silk card and finished in velvet lamination. If you need any help on which paper finish is best for your designs, please give us a call as we are happy to help. Remember if you are going for the bespoke service you also have the option of letterpress, spot varnishing and other specialised printing.